Оксфордский курс "Английский для телекома и информационных технологий" является идеальным для любых специалистов, работающих в области современных телекоммуникационных и информационных технологий. В архиве сам учебник, аудиоматериалы к нему и CD-Rom. Серия "Экспресс английский от Оксфорд" - Oxford Express Series - это серия коротких учебных курсов делового английского языка для специалистов определенных областей. 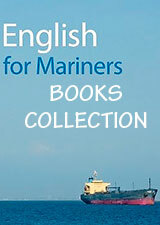 The Express Series is ideal for students in employment, who want to communicate better in English. These short, intensive courses can be completed in 25-30 hours, so students make progress quickly. Titles in the Express Series can be used in a variety of ways: as stand-alone courses, for self-study using the interactive MultiROM, or alongside a coursEbook such as International Express. English for Telecoms and Information Technology is an ideal short course for anyone working in the telecoms and information technology sector. 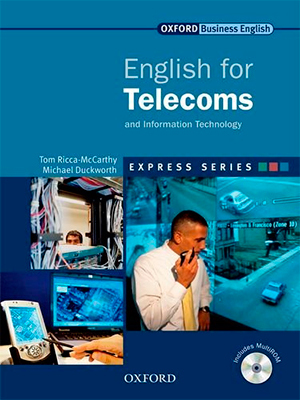 English for Telecoms and Information Technology covers a range of subjects, including mobility, software, services, and media. Units are divided into three cycles of a reading or listening comprehension, followed by language and communication activities. This structure allows students to learn new language in context, and practise new skills through a variety of exercises and activities. - Self-study material on the interactive MultiROM includes realistic listening extracts and interactive exercises for extra practice.